Home Good Acts and Stories Which Countries are the Best at Helping Others In Need? Where does your country rank? Can we improve our ranking? Helping Others In Need is GOOD For You! Improving and goodness, it turns out, is good for you. In 2010, researchers produced laboratory evidence that cooperative behavior is contagious and spreads from person to person, to person! So, you can be the change that you wish to see in the world. Your efforts are paying off. 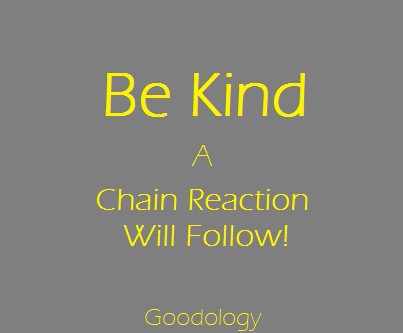 Be Kind and a Chain Reaction Will Follow!